Accidents happen. Unfortunately, these oral injuries can cause permanent damage to your smile. To help preserve your smile, Dr. Michael J. Bixby offers a wide range of restorative dentistry treatments. He also educates patients on steps to take after an oral injury to prevent tooth loss. Contact us right away if you have suffered an oral injury and tooth loss. Our experienced team in Red Bank, NJ will do what it takes to save your tooth and your smile. What Types of Accidents Cause Oral Injury? How Can You Prevent Tooth Loss Following an Oral Injury? Some accidents cause no visible damage to the teeth, while others may cause immediate damage or tooth loss. Even if your teeth appear undamaged, we recommend patients schedule an appointment with Dr. Bixby as soon as possible following an injury. He can evaluate the nerves, blood vessels, and tooth roots for internal damage. If the injury does cause the tooth to come loose or fall out, you should follow these steps. Whether your tooth suffers minor damage such as a chip or crack, or you lost one or more teeth, Dr. Bixby can restore your smile. He offers a number of different treatment options based on the extent of damage. Porcelain veneers, which can address chips and cracks on the front-facing teeth. Dental bonding, which uses composite resin to address similar issues to porcelain veneers. Porcelain crowns, which can repair larger fractures and other moderate damage to the front-facing teeth or the molars. In the event that your oral injury has resulted in tooth loss and Dr. Bixby cannot save the tooth, he offers two options: a dental bridge or a dental implant. A dental bridge consists of one or more artificial teeth, supported by two dental crowns. The dental crowns attach to the adjacent teeth and the artificial tooth fills the gap. A dental implant, however, is often more beneficial. It replaces the tooth’s missing root. 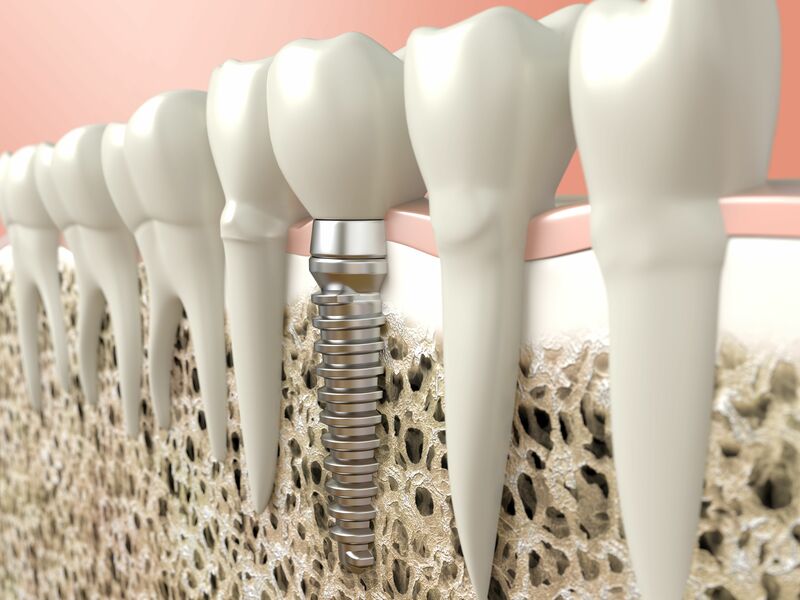 The implant can then support a single crown to fill the gap. If you have suffered an oral injury, contact our office right away for an appointment. Dr. Bixby can evaluate your teeth for damage and discuss treatment options with you.